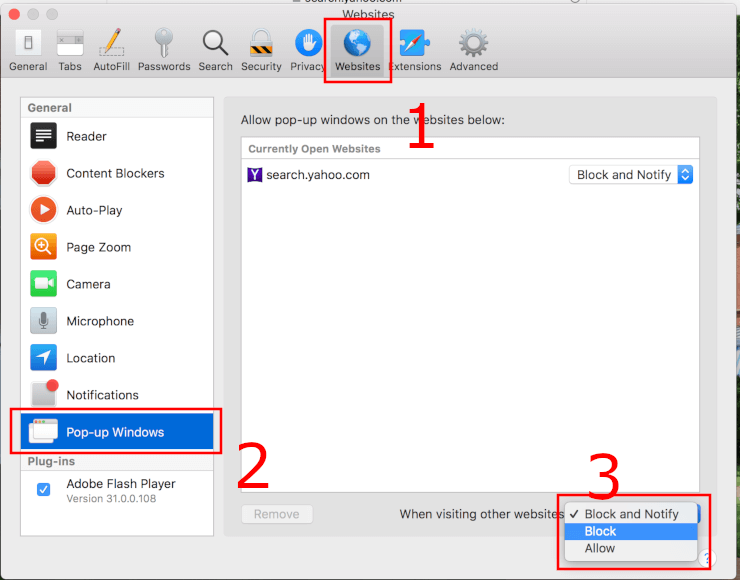 How to enable or disable the pop-up blocker in the Apple Safari web browser for MacOS Sierra. 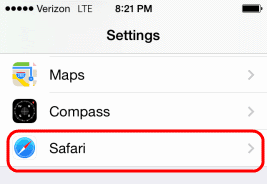 Select “Safari” > “Preferences“, then select on “Websites” at the top of the window. Select “Pop-up Windows” on the left side. Visit the website you would like to block or allow. Select on “Websites” at the top of the window. The website should be listed where you can select a setting in the drop-down menu. 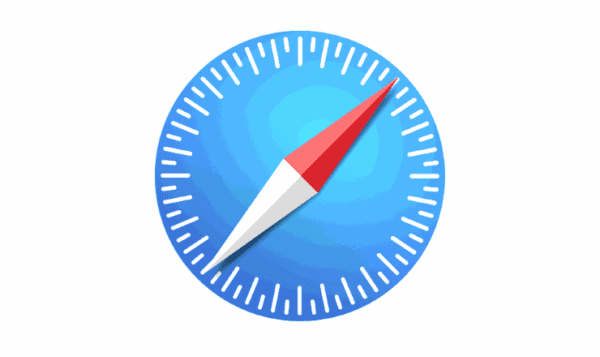 When Safari is set to “Block and Notify”, you can allow pop-up windows right after they have been blocked by selecting the two boxes in the address bar. From “Utilities“, launch the “Terminal” app. Press “Enter“, and the command sets to popup blocker setting as desired. 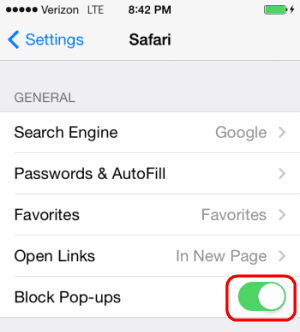 Slide the “Block Pop-ups” to “On” (green) to block pop-ups, or slide it to “Off” (white) to never block pop-ups. very helpful sir! much appreciated. This did not work on my phone. I turned off pop up blocker and closed out the app completely and re-opened it. It gave me the same error message that my pop up blocker is blocking the website. I double checked, it’s not on. i need help what if i don’t have the selection block pop-up showing ? Very helpful, up to date and direct to the point. HI – this wasn’t helpful because I don’t have that pop-up block box under security in safari preferences? Very helpful! After an update it disappeared and couldn’t locate. Thank you. Helped! Thanks. Several other web searches did not help. Bless you! Thank you very much, an FAA web site I use to qualify my students uses popups extensively and the freshness of this build made it difficult to locate a clue as to where it went. Kinda like moving into a new house with all the boxes unlabeled. Makes it really tuff to find things.